So you want to efficiently take a call from a customer, check their credit status, item availability and pricing, and enter a new order quickly and easily while on the call with them . . . I went to the workflow session yesterday because I really want workflow and I really want it to work. I was worried that this was a half baked first step. With everything I saw, it looks like a really good feature. There are a few limitations that will cause problems for some people but unlike some earlier workflow attempts from GP (anyone remember the original eRequisition?) it looks really well fleshed out. I found that I was so intrigued that I hardly took any notes so here's what I remember. Workflows within any software are a great way to streamline every day business tasks. Microsoft Dynamics® GP 2010 takes workflows to the next level, offering more options and creating more streamlined processes. Besides the existing approval step, users can now define “action” steps as part of the workflow definition. The new action step allows you to define an action to be taken during the workflow process rather than just an approval. Once the action has been completed, the action step can be marked as completed and the workflow will advance to the next step. The action step definition includes a description of the action to be taken such as assigning a new employee a unique employee ID or contacting the Better Business Bureau to get a rating on a vendor prior to doing business with them. 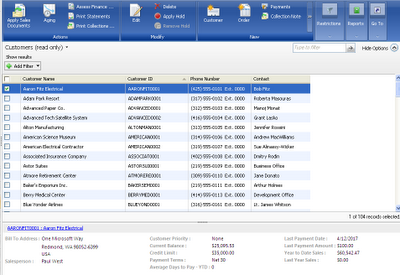 The Advanced Distribution module in Dynamics GP allows you to setup a workflow process for order fulfillment. You can select up to six steps, and rename them to fit your organization. This functionality gives you more control over the order fulfilment process and helps ensure that orders are processed accurately. In Microsoft Dynamics GP 2010, a Personnel Maintenance workflow is available which helps a business institute controls around employee data. The workflow submit process has been added to Payroll Personnel Maintenance. You can configure the employee record to require workflow for sensitive employee data. Has anyone used the GP Workflow SDK? I recently fielded a question on Experts Exchange on how to add workflow support for a Dynamics GP ISV solution. This is a post I made on the Dynamics GP Community forums regarding drop ship workflows.